The Longneck Karen village is the place to see the world famous women with rings around their endless-looking necks. 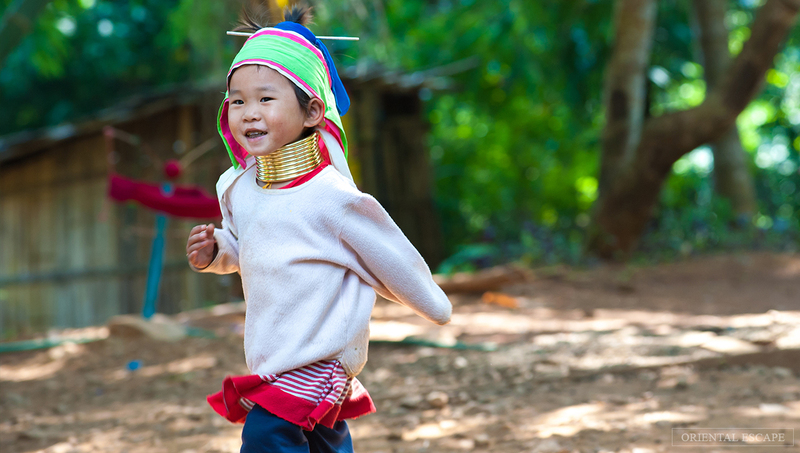 The tribe of Karen people inhabits the present Pattaya’s territory. Now the members of this ethnic group are residing in few reservations where tourists are eagerly welcome. The Karen people dress in their smart traditional apparel and sit ceremoniously in the streets. You can see them doing needlework or pottery. The girls are friendly and promptly strike a pose once they see a camera. You can also try their massive stiff “necklace”. The long neck village is the least visited place as far as Pattaya top attractions are concerned, it is still not on the tourist radar. Girls wear these neck rings since the age of 4-5, each year adding one metal ring around their necks so that by the age of 26 the coil’s weight can reach 8 kg! In fact, the neck itself does not stretch at all – this impression is created by the clavicles that sink under the pressure. However, the visual effect produced by the beauties is fantastic. You can take some souvenirs they made with you. Bangkok and Pattaya night scene rest in the `Power of 3’. Pattaya has Soi6, Soi LK Metro, and Walking Street. Bangkok, on the other hand, have Nana Plaza, Soi Cowboy, and Patpong. 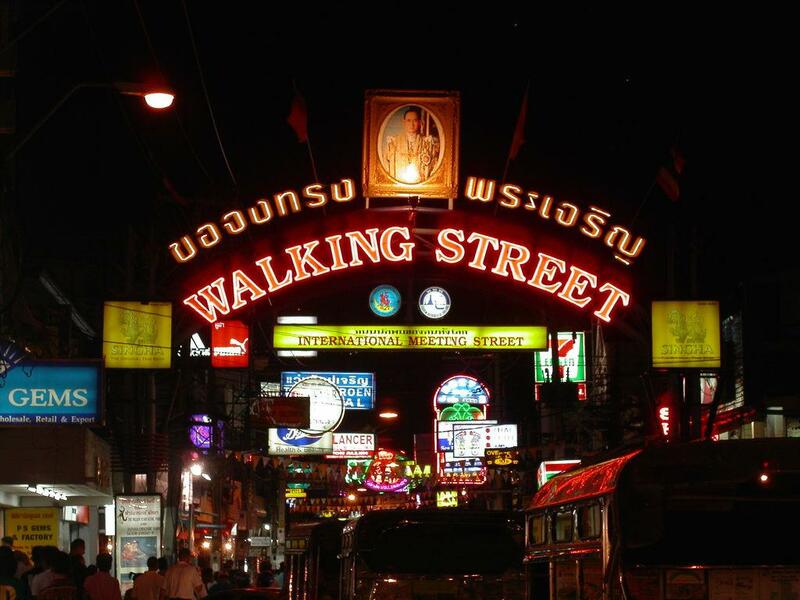 Walking street will always remain no.1 as Pattaya top attractions. Tiffany Cabaret Show is a breathtaking one hour show. With glitz and glamour and extravagance, it’s a 40-year-old Ladyboy Cabaret. For a single traveler, a photo op with all the dancers at the end is a must keep for memories. Alcazar grand and modern architectural theater with state-of-the-art light and sound systems and capacity of about 1,200 seats have opened its doors for visitors from all over the world since February 9th, 1990. 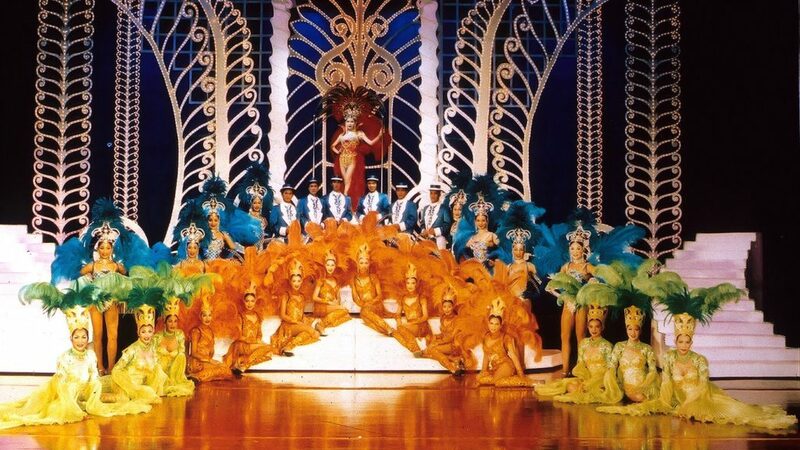 It is globally famous with the reputation of the best transvestite cabaret show in Thailand. Continuously, they have improved the shows employing the modern technology of stage arts for serving visitors. 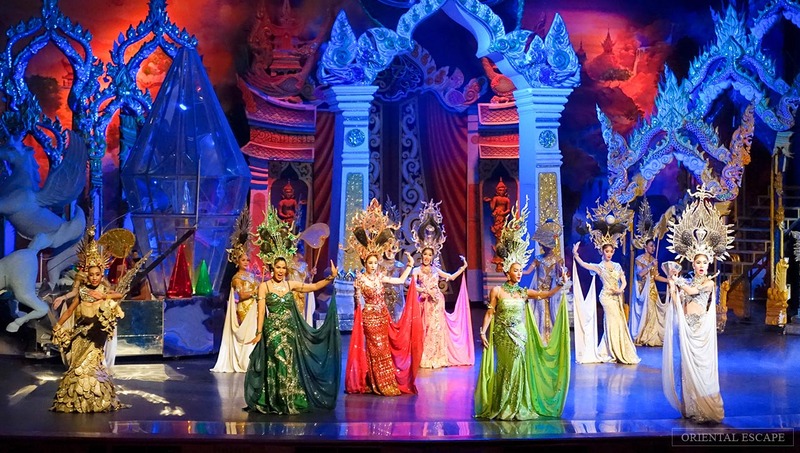 Each year, creative show production team works extremely hard together with millions of Thai baht are spent on creating and presenting the impressive show to the visitors’ eyes. What to do in Pattaya in the afternoon…Go to this amazing market. If you are a foodie like me you will enjoy this place. 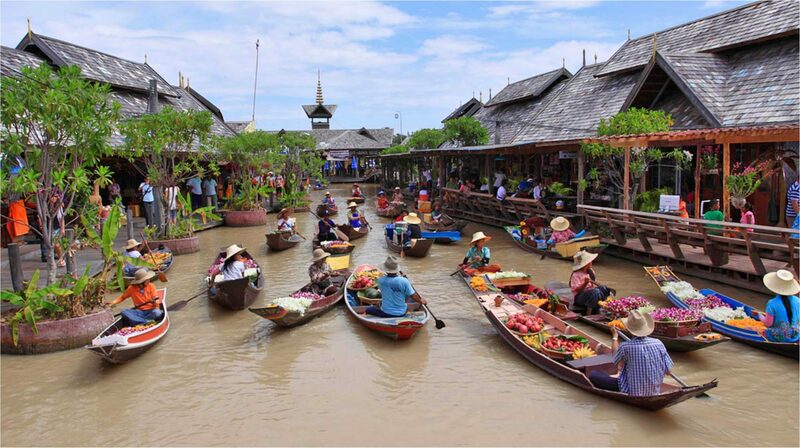 Covering an area of 100,000sqm, the Four Regions Floating Market is separated into four sections – each representing and selling items from the four major parts of Thailand (north, northeast, central and south). Expect to find many eateries, fruit stalls, souvenir shops and some art galleries. There is also a cultural show every afternoon. The 350 million baht market has over 114 shops and water vendors selling authentic Thai food, desserts, and specialties from all over the kingdom. For a floating market experience, hire a man-powered boat to get around and discover the richness of the surrounding Thai architecture and riverside life. Typically, the boat is big enough for four people and can be hired for a small fee for around 30 minutes. 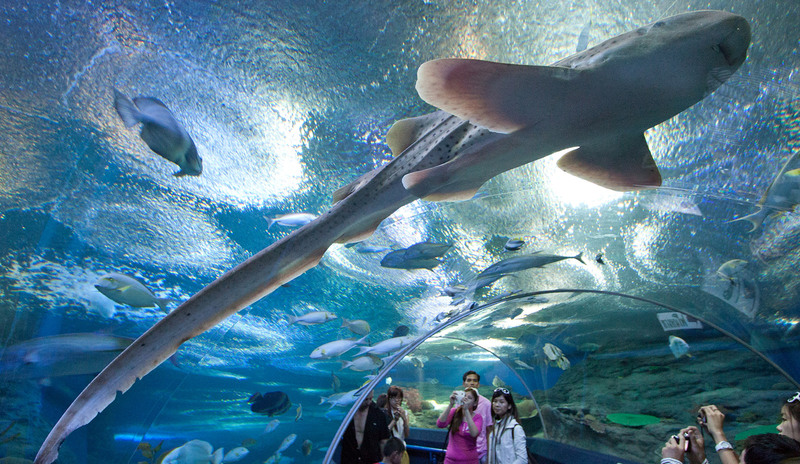 Underwater World, Pattaya top attractions is a leisure attraction showcasing the rich variety of marine life found around the region. Located at South Pattaya, it complements the many other educational programs and recreational activities available at this beautiful oceanic scenery. No more searching, no more chasing or hoping to see shark and ray. Experience and interact while they swim right beside you. With your own personal diving instructor next to you at all time to ensure your own safety or any kind of emergency that may occur while diving. Kids will enjoy Education Programs with an unforgettable experience and a chance to encounter face to face with a diversity of aquatic animals also their living environment, happiness & fun time during the night walk. 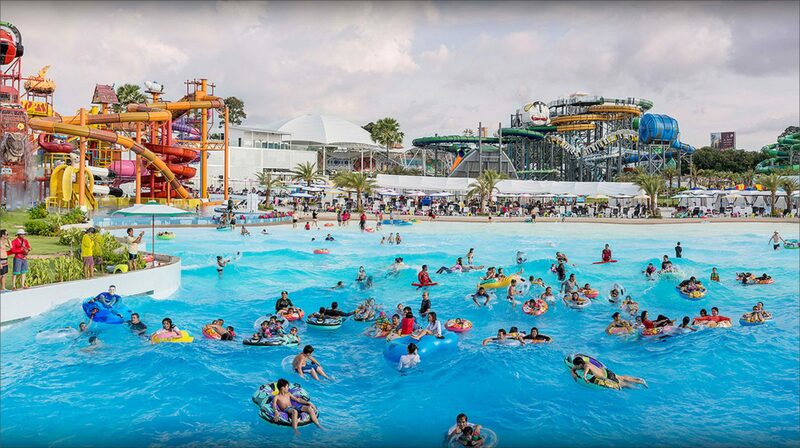 The world’s favorite kids’ channel brings guests the ultimate in family entertainment at Cartoon Network Amazone, the world’s first Cartoon Network-themed water park. When it comes to dining, Cartoon Network Amazone turns an ordinary meal into a culinary adventure at Foodville and Toonalicious, the world’s first Cartoon Network-themed rooftop restaurant. When the sun falls below the horizon, live shows dazzle up the evening with acrobats and digital light displays marking a perfect finale to an amazing family day out. Two hours from Bangkok and 20 minutes from Pattaya.